Last Weber of pork was a portion of leg, which I put in foil for the first hour or so. Yesterday's roll didn't need that. Quick improvised garlic bread for the non banting people. Any fire in that monster braai will look like a small fire. Sundowners, lang skilpaaie followed by kaaswors tonight. Weekend coming to an end way to fast. We need pics in this thread please. 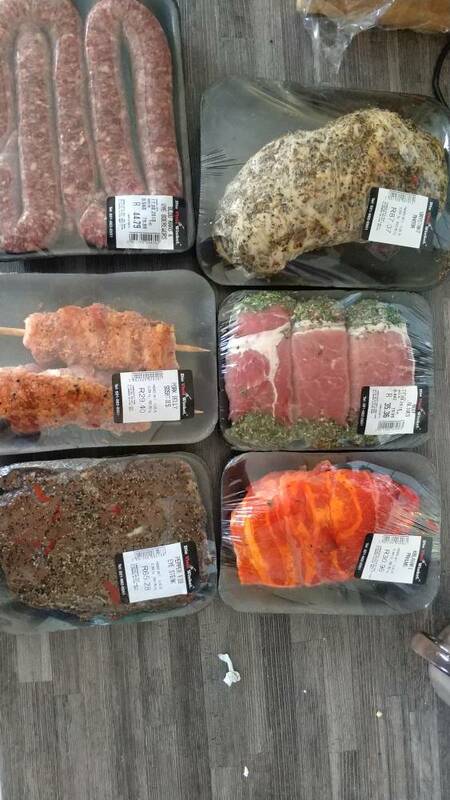 Lamb tjoppies and Braai broodjies. I am making pizza in my pizza oven. Fire will be involved. Made some more pizzas today. With some Paternoster craft beer. Made some more pizzas today. Willing to share dough recipe? Mine always comes out too thick. Yours looks nice and thin. Willing to share rough recipe? Mine always comes out too thick. Yours looks nice and thin. I buy the base from the people who make the oven. Earthfirepizzas. Nice,thin and crispy. Bought in the week. Had the same experience. Rooikrans.